PM Modi said, "The results in BMC polls are heartening for the Bharatiya Janata Party (BJP).Where on the other hand , the Congress party has been completely wiped out from Maharashtra." Gonda, Uttar Pradesh: Citing that how Congress party has been sidelined by the people in Maharashtra, Prime Minister Narendra Modi hits out at the former over their downfall in the Brihanmumbai Municipal Corporation (BMC) elections 2017 while addressing an election rally in Gonda on Monday. "The results in BMC polls are heartening for the Bharatiya Janata Party (BJP).Where on the other hand , the Congress party has been completely wiped out from Maharashtra," said Modi, adding the fact that "common people of our country have 'third eye' like Lord Shiva and can differentiate between good and bad." 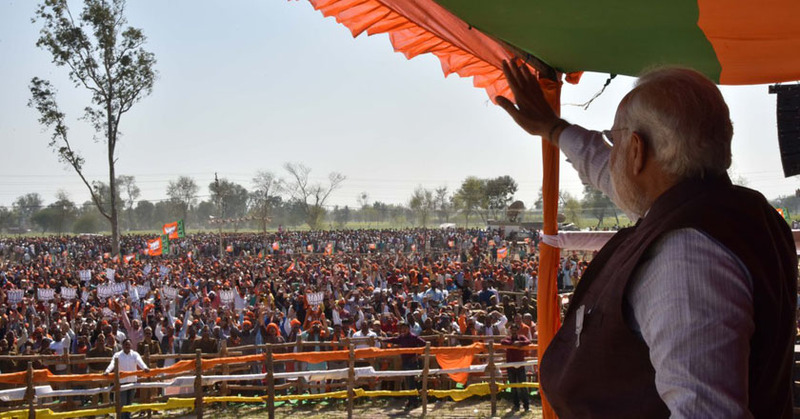 In a veiled attack at the opponents, the BJP leader while addressing an election rally in Gonda said, "The politicians sitting in air conditioned room in Delhi, won't be able to comprehend the political 'storm' that is going on in Uttar Pradesh." Calling the education system in Uttar Pradesh 'corrupt' and 'poor', Modi launched a scathing attack on state Chief Minister Akhilesh Yadav and asked him "You went to Australia for higher studies. What about the students studying here?" Speaking about the various acts of injustice being heaped on the people of Uttar Pradesh, Modi promised that they would waive off loans of small farmers and if the farmer's crops get damaged within 15 days of reaping, the farmers will get the money under the Pradhan MantriFasal Bima Yojana. 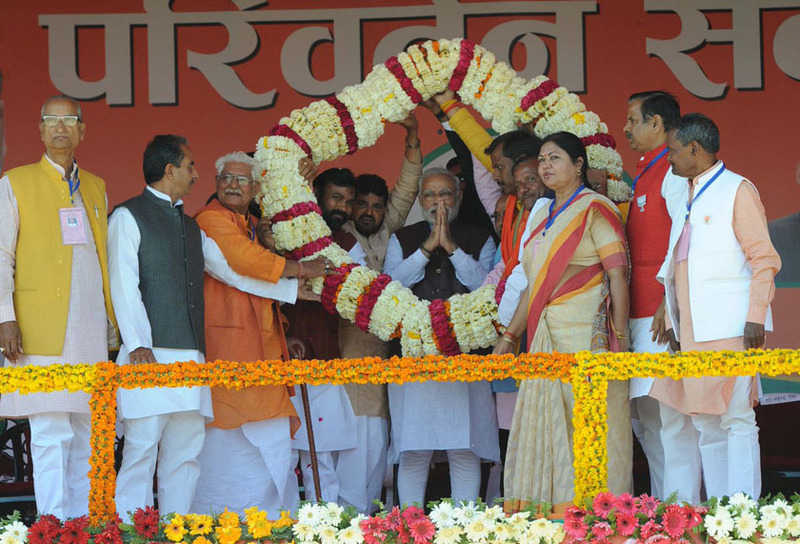 "We will ensure the safety and security of the people if BJP Government would come with full majority in the Uttar Pradesh," he added.